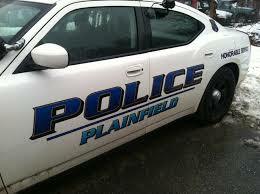 On March 22, 2019, at approximately 5:00 P.M, an Officer of the Plainfield Police Department conducted a motor vehicle stop in the area of 144 Plainfield Pike for an equipment violation. While speaking to the operator, 32 year old Krystina J. Socha, she was asked if there was anything illegal inside of the vehicle. After initially stating that there was nothing illegal inside of the vehicle, Socha admitted to being in possession of narcotics. A search of Socha’s purse revealed multiple baggies of Fentanyl and drug paraphernalia. Socha was subsequently placed under arrest and transported to the Plainfield Police Department where she was charged with Possession of Narcotics, Possession of Drug Paraphernalia, Operating under a Suspended License, and a Stop Lamp violation. Socha was later released on a $5,000.00 non-surety bond and scheduled to appear at Danielson Superior Court GA-11 on April 8, 2019.